Digital transformation in your business? Start with your Christmas card! The holidays are all about expressing gratitude, so there’s no better time to thank your clients and customers for their continued loyalty. The holiday greetings are an important instrument for maintaining customer relations – it may seem like a simple act, but genuine gestures help forge lasting connections with your clients. Printed Christmas cards are expensive and require a lot of time and resources, even more if you have global business and international customers. Christmas greetings sent by e-mail individually by employees, do not allow any centralised control of the content, the form and the layout. Central Christmas greetings via newsletters sent from a global account are impersonal, inflexible and do not fully utilize the address potential of all the company’s employees. 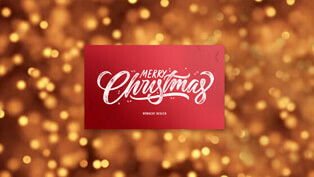 Make it easy for everyone in the company to send digital, personal Christmas cards with Power eCard! 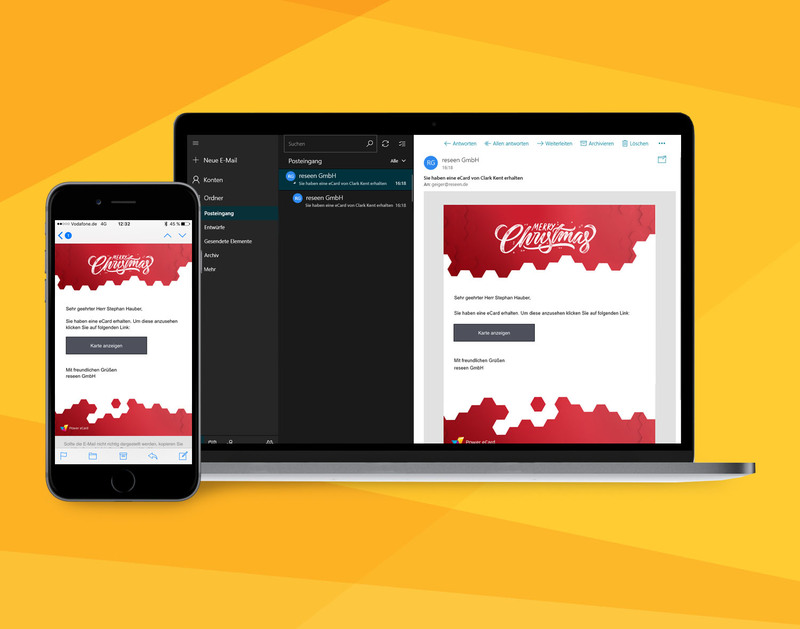 With Power eCard, all company employees can send Christmas cards as eCards directly from their browser to their contacts with just a few clicks. The selectable card designs are standardized in the company design, whereas the message can be personalized by every sender. 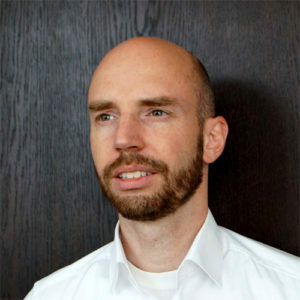 The digital Christmas card is sent out in the employee’s own name, optionally with his signature und profile picture. The layout, appearance and greeting texts are provided centrally by the Marketing department in the corporate design of the company. There are no limits to the design of the Christmas cards! Fill out this form and you will receive your personalized example Christmas eCard in a moment. We respect your privacy: We only send you an example eCard and will not share your data. 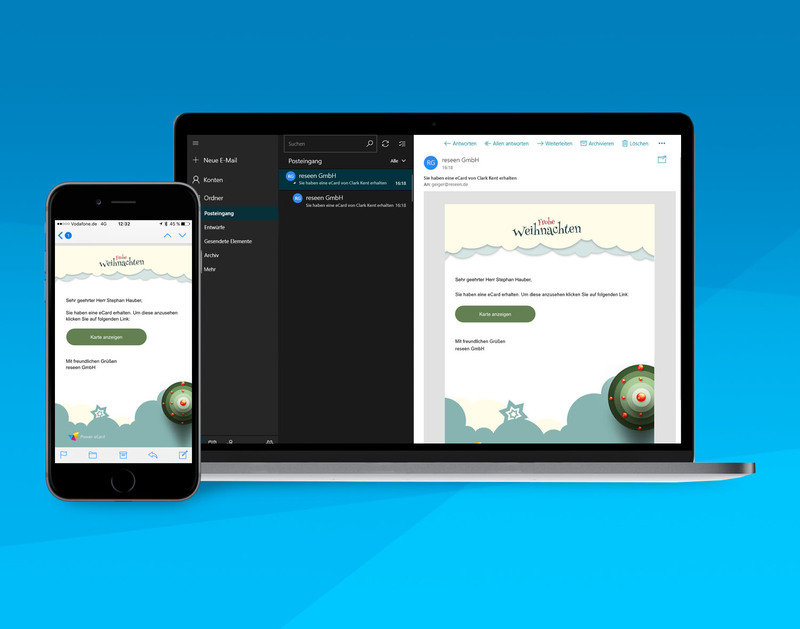 Simply send eCards with a few clicks – saves all employees time, effort and nerves! 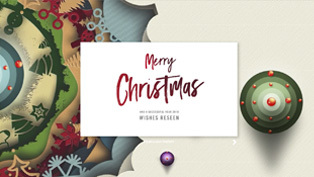 Optimized experience in the browser with animations and visual effects – impress your customers with your Christmas cards! Every customer can be addressed with an individual greeting text and salutation – this gives your Christmas card the personal touch! 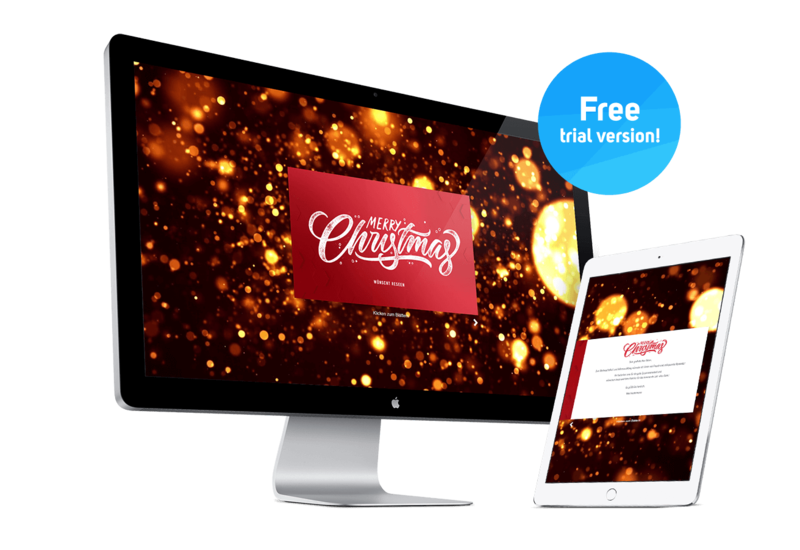 Switch to sending digital Christmas cards now – save time and money and send a smile to your customers’ inbox! You want to discuss your personal requirements with us, you need an individual offer, you want to see Power eCard Live in action or simply ask a few questions about our solution? No problem, we are always there for you.